I love the words ‘cosmedics’ and the exciting waves these products are making in the beauty industry. No, it’s not a typo, it’s the not so new practise of using a pharmaceutical basis to create skincare products that actually work and have a scientific basis. 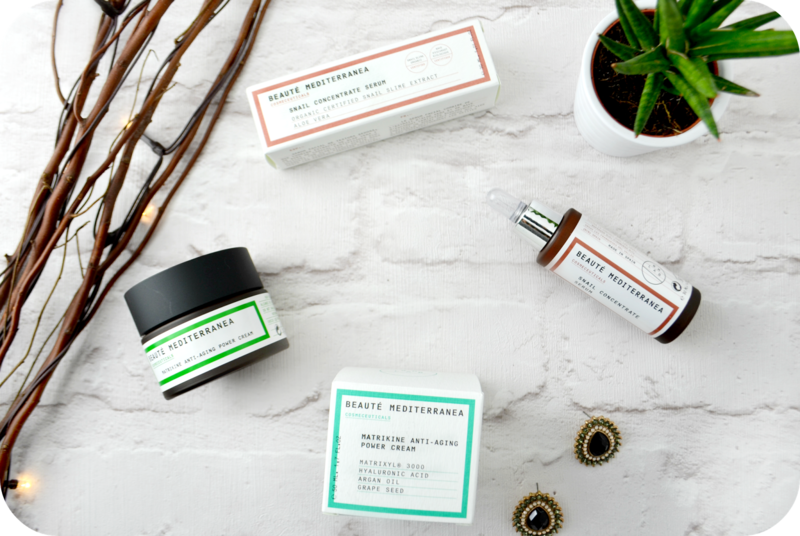 Beaute Mediterranea is a Spanish skincare brand that is about to take the skincare world by a storm. They have their own lab where a dedicated research team work to create a range of products following a medical formula. Each product is developed around an active ingredient made for skin concerns. I was thrilled when Beaute Mediterranea got in touch and couldn’t wait to see if cosmaceuticals are really a thing of excitement. Since I no longer suffer from acne (hallelujah!) my main concerns are preventing aging and regenerated my skin so that my scars disappear. I was very kindly sent two full sized products and today I’m going to be looking at Beaute Mediterranea’s Matrikine Anti-Aging Power Cream. I’m a huge fan of violet glass bottle style packaging and these products look amazing aesthetically. ‘Apothecary chic’ is definitely a style I’m liking for my beauty product packaging! The name itself seems like it’s packed full of something good. I had no idea what ‘Matrikine’ was so I did a quick google search before applying it because I’m quite wary that what I put on my body, goes into my body.. It turns out Matrixyl is the registered trademark of an anti-wrinkle ingredient that many rejuvenating cosmetic manufacturers include in their formulations. Matrixyl contains certain synthetic elements that are almost identical to natural matrikines, which are peptides responsible for preserving and repairing skin tissue. Cosmetic products based on Matrixyl double the amount of collagen in the skin, reversing ageing effects dramatically.As if this all didn’t sound exciting enough, I was even happier to find out that it’s also paraben free. 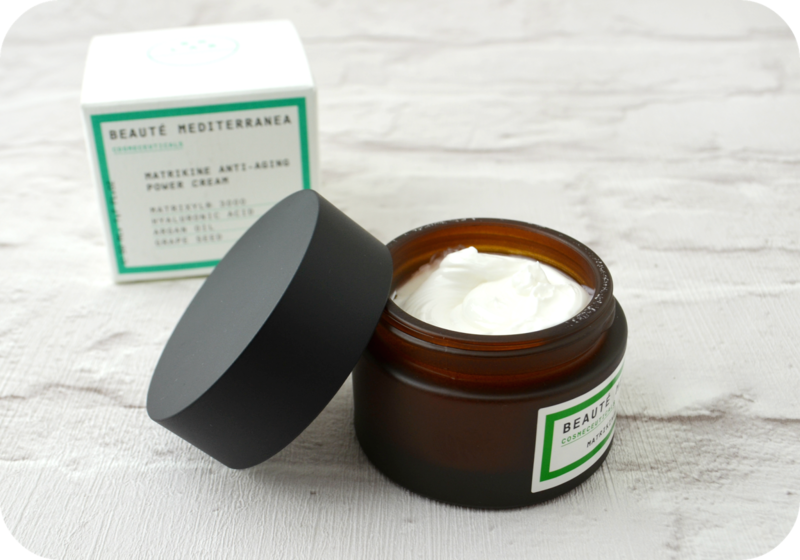 I’d also like to add that the Power cream contains hyaluronic acid, argan oil, allantoin and UV filters. Let’s break these down too just so that we’re all on the same page as to how promising this product it. Hyaluronic acid – In short, hyaluronic acid helps to retain water and strengthen the skin’s barrier, two things which everyone can do with as they get older and skin becomes thinner and less hydrated. Argan oil – I honestly though Argan oil was only supposed to be good for your hair, turns out it’s really rich in Vitamins A and E and even antioxidants which are fantastic for promoting healing. UV filters – absorb or reflect the UV rays that are contained in sun light or in artificial light. UV Filters can be used to protect the skin from the harmful effects of UV light. I didn’t quite get this even after researching how it works endlessly but hey, I wasn’t going to knock it until I’ve tried it. I have pock marks/ice pick scars on my face (which are definitely fading woohoo!) but I know I need to up my skincare game a little. Having checked out the ingredients and read that the power cream is able to help improve elasticity, skin tone, skin firmness and smooths wrinkles, I was one happy lady. The cream comes fully sealed and air tight which is something I’ve realised that skincare products need to start doing. All beauty products have an expiry date and I like the idea that what I’m about to use is ‘fresh’ as opposed to have sat on the shelf in Superdrug or Boots for months on end. The cream has a familiar smell to it, it sort of reminds me of Nivea anti-aging cream. It’s not strong, overwhelming or medicinal in any way. It’s a soft scent that fades very quickly once it’s on. The cream itself is a white thick cream that seems to melt into the skin. It’s rich consistency means that it needs to be worked into your skin a little bit but once it’s on it’s not greasy or sticky. It did however leave my skin a little bit shiny which I’m not really used to, but that’s not a problem for me at all. Having used this product for just two weeks, I have yet to see any anti-aging differences, however I’m really liking it as my night cream. 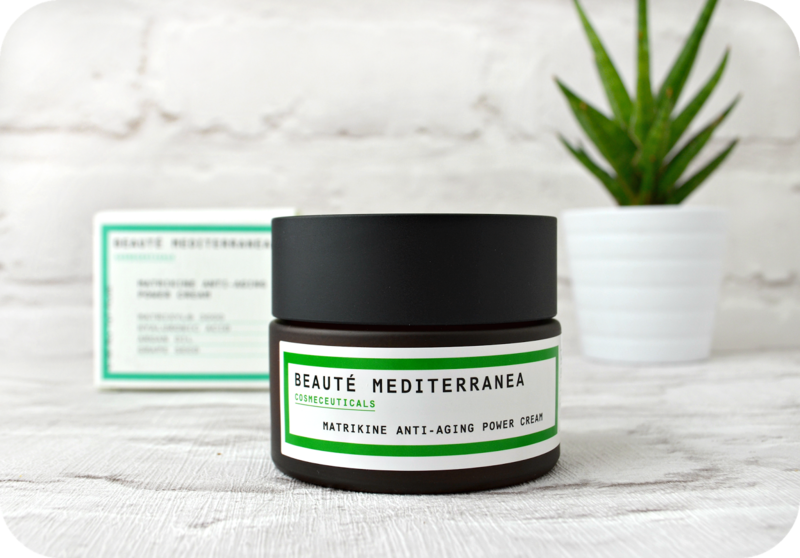 After a long hard day and scrubbing the war paint off my face, the Beaute Mediterranea Matrikine Anti-Aging Power Cream feels so good on my face and I can see it becoming a firm favourite. The Matrikine Anti-Aging Power Cream is now available to buy in the UK through Mitonia. Priced at £34 it’s not cheap but I can definitely see why it has such a high price point considering a lot of work goes into curating this little beauty masterpiece. I still maintain that you only get one skin to live in and having had such bad skin for so long, I’m definitely willing to pay the price for great skin.